News about Syrian refugees often comes from Europe or Turkey. As a rule, these messages are connected with crime or anti-Islamic statements of Europeans. However, few people know that up to 2 million citizens of the civil war-ridden country live in Syria's neighbouring Lebanon. Moreover, the majority of them are in a very bad state. In a column written especially for our online newspaper, Realnoe Vremya's op-ed contributor from Near East Anhar Kochneva tells what help the refugees get from the UN and charity organisations, whether it reaches its addressee, who make profit from emigrants and the conditions Syrian families live in. 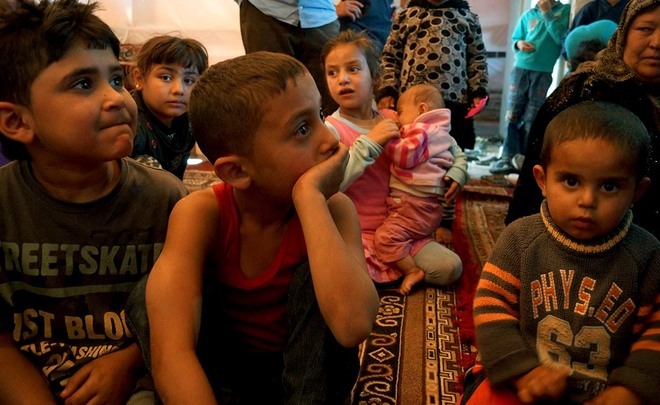 According to unofficial data, almost 2 million Syrian citizens are living in Lebanon. Part of them moved here together with their business, with quite big capitals, new luxurious cars, etc. They are the minority, of course. People who found a job in Lebanon and maintain themselves as they can are the majority. Such people can afford themselves to rent a corner (though it is often a very bad flat or they do it going Dutch), some of them have a possibility to buy a used old car (there are old cars born in 1980 like ours now). People buy the cheapest clothes, often in second-hand shops. Even if these people work and earn more than they did in Syria in dollar terms, they level of life is very and very low, lower than the level they had in their homeland 6 years ago. Most people have an unstable job as well as their income. But if it is the second category of Syrians living in Lebanon who maintain themselves somehow and have an opportunity to buy something from time to time, the third category refugees live far worse. According to unofficial data again, they account for about 350,000 in Lebanon. Many of them are large families from the Syrian countryside who don't have a profession in itself. Somebody planted and harvested olives in their land, somebody bred sheep and goats. Others had a shop. 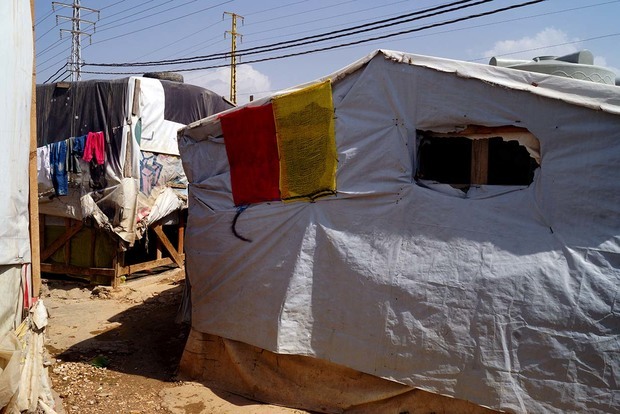 Income means disappeared – people remained in Lebanon with nothing. Herders lost sheep, farmers lost land. Nobody needs them in Lebanon. These people live in handmade huts – a cloth of old billboards are tightened up on a frame made of hammered planks. Such ''dwellings'' just protect from winds – in winter it is as cold as it is outside. It should be noted the climate in Lebanese Beqaa Valley where these refugees live is far from that of a resort – the valley is located in high mountains between two ridges. In winter, it snows in either the very valley or 5-10 km far in the mountains. Several kids who lived in that kind of tent simply did not wake up having died from cold two years ago. These people just can't earn something in the external world. Lebanon is not able to provide these people who are all needy – about 5 million Lebanese citizens live on the territory of the country – with work and money for living. Palestinian refugees, Iraqis and others account for another million. Traditionally, there are many citizens of the Philippines, Sri Lanka, Ethiopia, etc. who officially come to Lebanon on work contracts. The country's economy is mainly ''speculative'' – bank transactions, people buy cheaper but sell more expensive, resale of immovable property and land, etc. In other words, indeed, there are few places to work, the country itself produces little. There is almost no centralised help for refugees. Those who managed to get a status of refugee by the UN receive just $13 per month at best (it is 13 packages of flatbread per month, indulge in any pleasure, please). But even this little help is not given to everybody. Often not all members of one family get the scraps. As very refugees say, very humanitarian organisation workers drive new cars and ''help'' for $200 a month. Refugees have to pay local farmers about $700 a year for ''land rent'' (will you calculate the ratio of the benefits to the rent price on your own?). Everything like water, electricity, gas, mazut for the chimney to heat somehow in winter is an additional payment. Unsanitary conditions are everywhere, a composting toilet is often one for the entire camp. The last time many people saw doctors and teachers was in Syria. I started to help some of those people who were in such a situation 1,5 years ago. Initially, we tried to bring food and hand it out to everybody. Later it turned out it was not an option in this situation. It won't be enough for everybody. Plus, feudal lords – land owners where camps are located – try to commandeer something. Again, there is not any discipline at all – those who are bolder often get help, not those who really need it. Having faced these problems in the winter 2015 (I brought 18 huge parcels with the things collected on the appeal of the Russian Cultural Centre in Beirut by Russian women living in Lebanon to one of the camps), I came to a conclusion that it's better to help on the spot. It is impossible to feed everyone. But it is quite real to make better and help some families who need urgent help to be back on their feet. On donations collected through Facebook, several families got help, including a woman with six children dropped by her husband and a family from Aleppo (the family has four little girls). There are thousands of such wretched families in Lebanon. Nobody needs them. They have no possibility to shout about their misfortune. At the moment, these people were provided with clothes, everyday things (tableware, towels, bed sheets, blankets). Food was brought many times (I buy it in hypermarkets for special prices, it is more expensive near the camps). People have got toothbrushes, kids got some toys, these family members stopped washing their hair with laundry detergent. At least nobody whom we helped did not die from cold and hunger this winter for sure, it is the most important thing. The life of these ''charges'' has improved in recent time – the woman with six children found a job even if it is not well paid. The eldest girl from the second family could go to school. 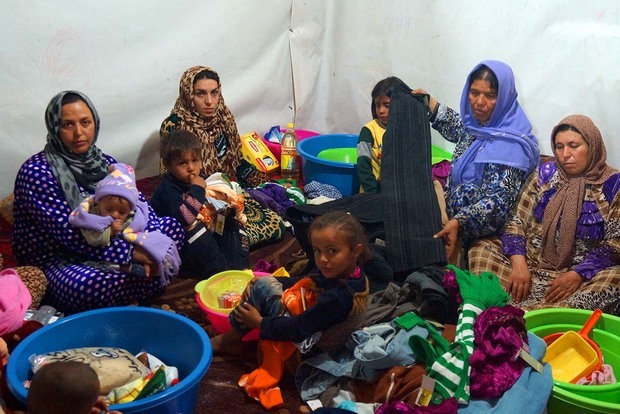 The family moved to a tiny room with stone walls from the tent that was blown off by winds. People understood they were not alone with their grief and found strength to start climbing from the pit the war dumped them in.